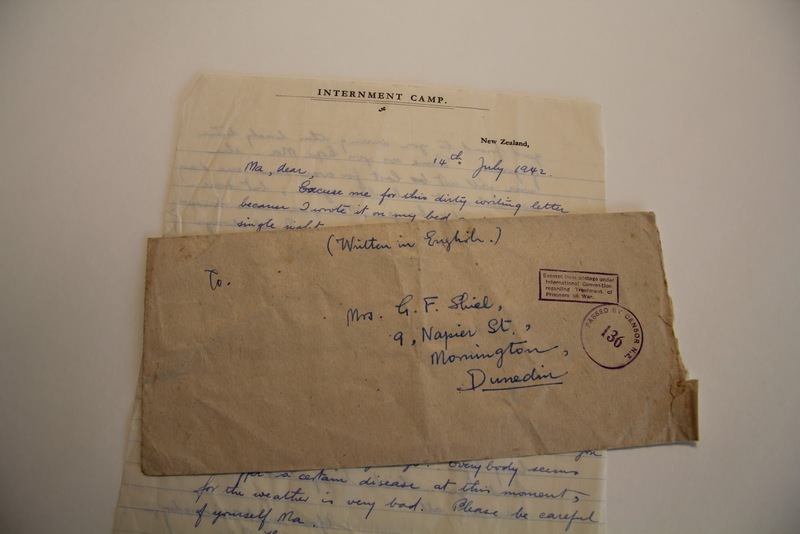 So wrote Bira Kalayasiri, a Thai national, to his New Zealand guardian Gerald Shiel from the Somes Island Internment Camp in Wellington Harbour. This letter is the final item of correspondence we have between the two. Within a year, Kalayasiri would be dead, one of the victims of an undisclosed accident that took place during his forced repatriation to Thailand in 1943. 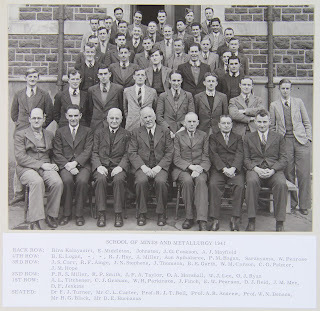 ﻿﻿﻿﻿﻿﻿Kalayasiri and two of his compatriots, Aun Apibalsree and Yuwan Saraniyama, arrived in Dunedin to start study at the Otago School of Mines late in 1940. 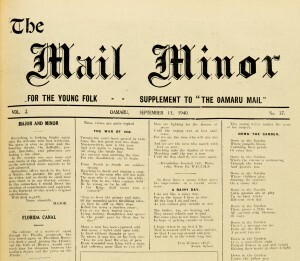 The trio appear to have received financial support from the Thai government and the firm Kampong Toh Tin Ltd. Patrick Shiel, the Singapore-based brother of Gerald, was connected with this company, and asked his Dunedin brother to take an interest in the students. 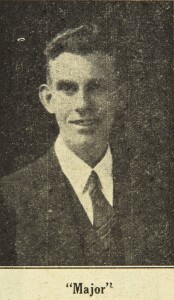 A close association between Gerald, his wife Ina, and the Thai students developed; to the extent that the students suggested Gerald assume the role of their New Zealand guardian. The folder of correspondence mostly holds letters written by Kalayasiri, Apibalsree and Saraniyama to Mr or Mrs Shiel (referred to by them as ‘Ma’) from their time spent carrying out work experience for their studies at the Wallsend Mine, near Greymouth, through to their internment at Somes Island. Although Kalayasiri tends to voice their experiences and predicament most vividly, all three initially express gratitude and affection to the Shiels for their goodness in Dunedin, and describe some of their working conditions and impressions of their workmates. As time progresses, the trio’s letters refer increasingly to the war underway and how they feel about it, and eventually move into expressions of frustration, conflicted emotion, and despair. ‘Regarding my home in Thailand, I wonder whether I lost my father and mother or not. They stay in the fighting zone. I have lost my country. I do not know what will happen in future. I have lost my future. I have lost everything. Only thing I have now is only my poor humble soul waiting for the time when death calls upon me. I have to struggle for my life to see the future misery. I think what will happen in future will be worse than it is now. When I think of this I want to do something which will end my life. 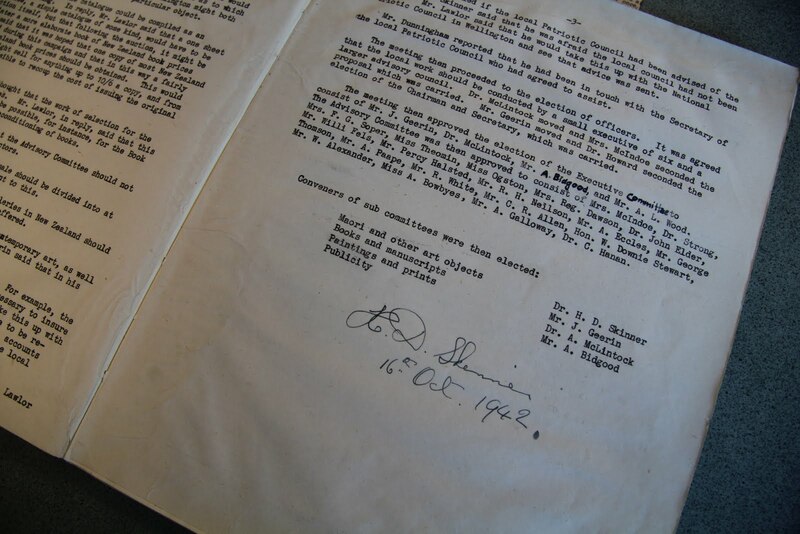 Each of the group expresses a desire to join the New Zealand Army early on, and Saraniyama in particular made a concerted effort to enlist with the allied forces. All endeavours to sign up were futile, due to their status as enemy aliens. Their frustrations were amplified in their attempts to establish contact with groups that may have been able to provide them with advice or assistance, such as the recently established Free Thai Movement. Any ventures into overseas communication were thwarted by misinformation, lack of reply, and eventually censorship. 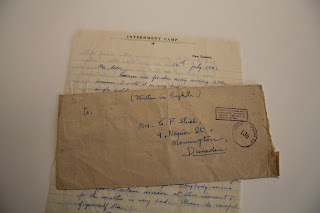 Few of the conditions of their internment are revealed, no doubt partially due to the censorship of letters written by those held in the camp. All three express boredom and frustration with their situation, but are able to continue with their studies, and financial support from the Thai government still reaches them, albeit with increasing delays. It is unclear exactly when in 1942 their internment commenced, or the point in 1943 that their fateful repatriation took place. 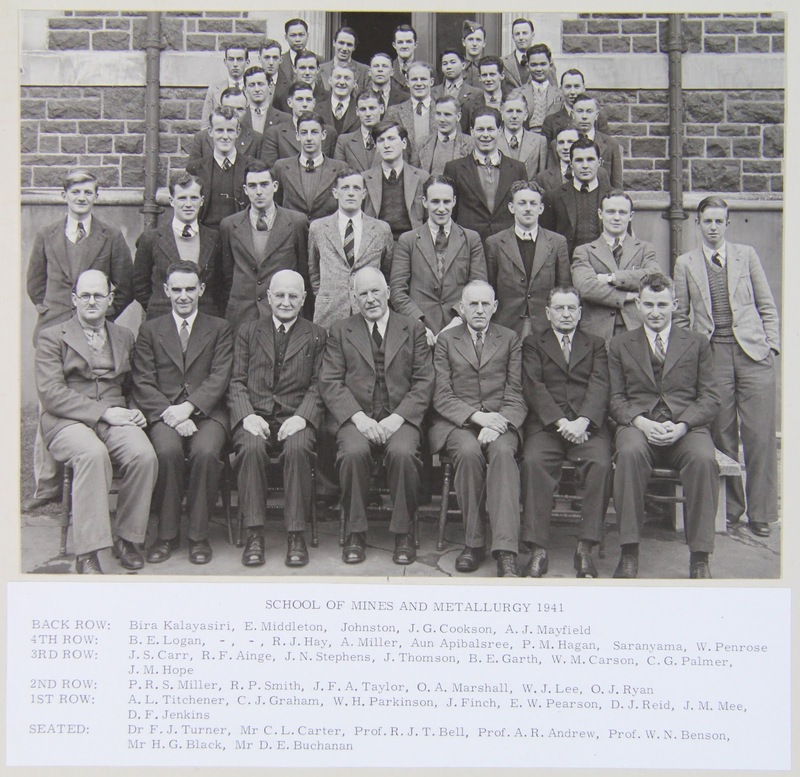 The Shiels, too, must have been aggravated with the situation the trio faced, and equally exasperated by the limited official information they eventually received after the youths lost their lives. 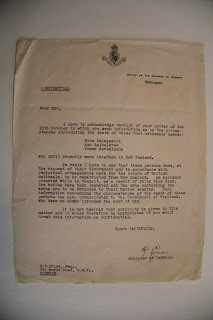 A letter from the Minister of Defence to Mr Shiel states that ‘an accident occurred while in transit, as a result of which they died,’ and that ‘it is not desired that publicity be given to this matter and it would therefore be appreciated if you would treat this information as confidential.’ Compounding this tragedy, Gerald Shiel’s brother Patrick went missing, allegedly having met his death in an accident while fleeing Singapore in 1942; but the family had still not received any confirmation of his death by 1945. 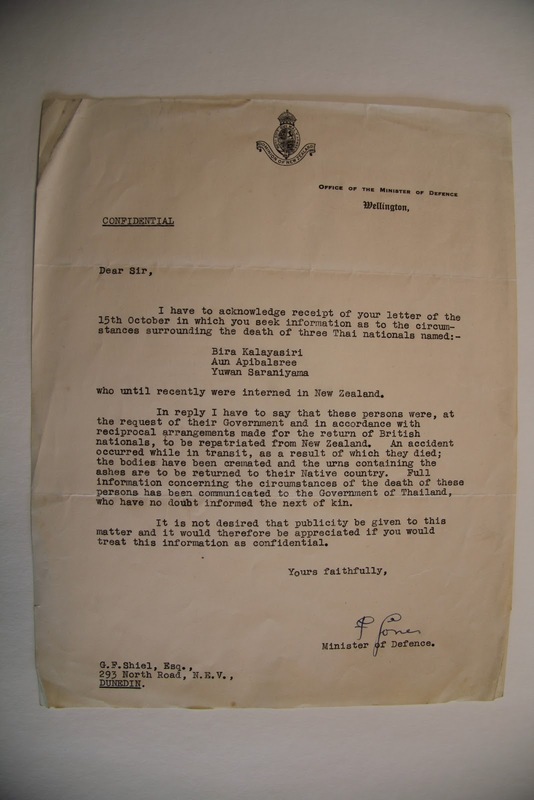 Information regarding the internment and death of the Thai trio sits in Ministry of Defence files held at Archives New Zealand. The files are restricted to preserve the personal privacy of those concerned, however, researcher may make application to the Chief Archivist for permission to view the files. 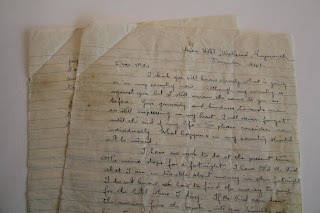 So begins a 1943 letter from Emily Shulich, Chicago, to Betty Manley of Lower Hutt. Betty served as a hostess at the American Red Cross’s Cecil Club, providing hospitality to the large influx of American servicemen in New Zealand. 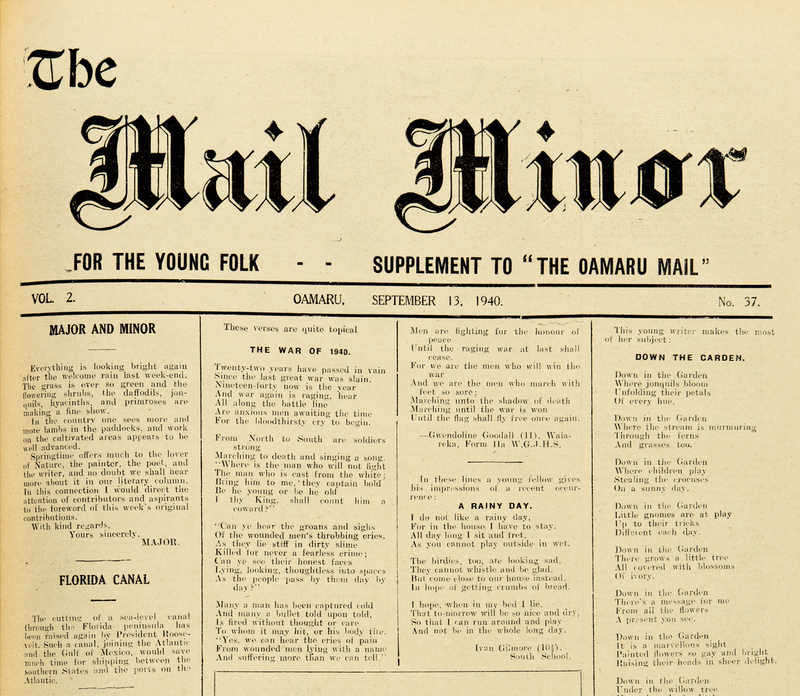 She kept up a correspondence with several of the men she met there, along with some of their families, who were grateful for contact with friends of sons who seldom wrote themselves. 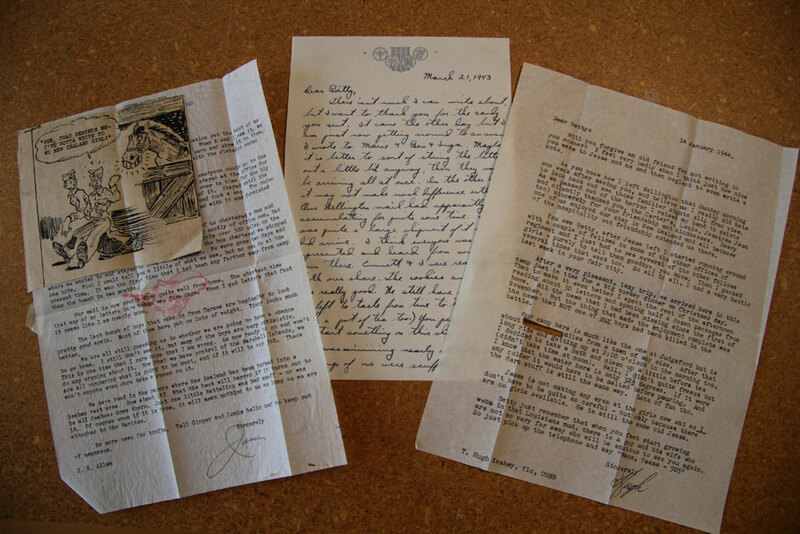 The letters she received form a substantial part of the papers of the Watson and Manley families (ARC-0665). 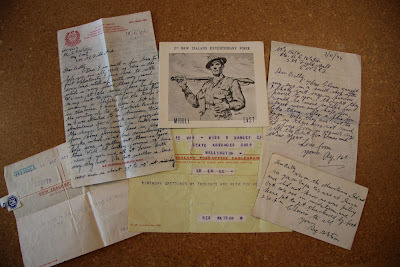 Letters from American servicemen to Betty Manley. 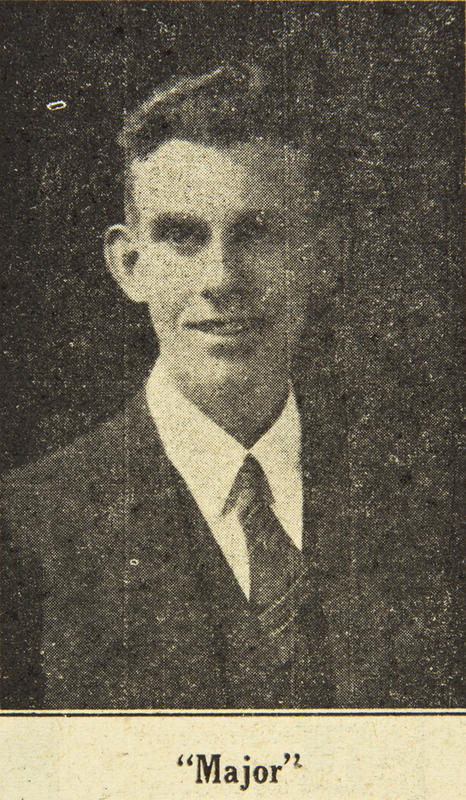 The censor has cut out a word from Hugh Keahey’s letter, which would have revealed how many miles his camp was from the nearest large town. 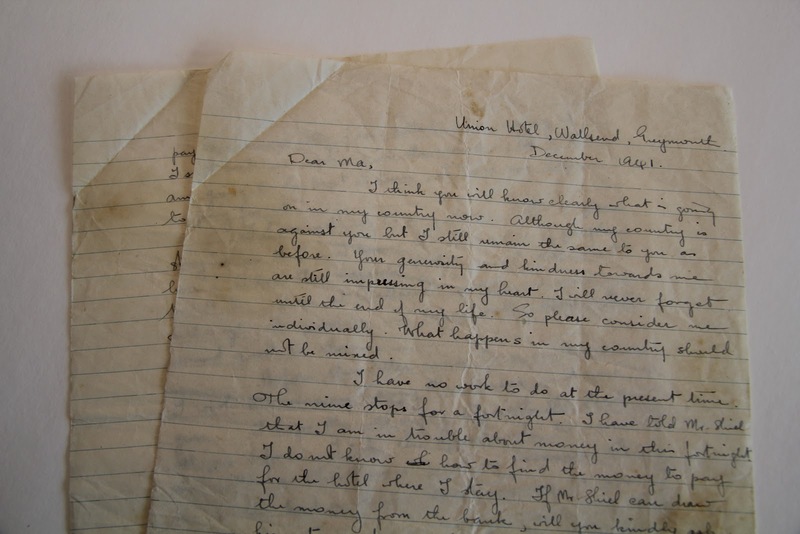 Meanwhile, Betty Manley was also corresponding with Reg Watson, a Dunedin printer who was serving overseas with the 5th New Zealand Field Ambulance. 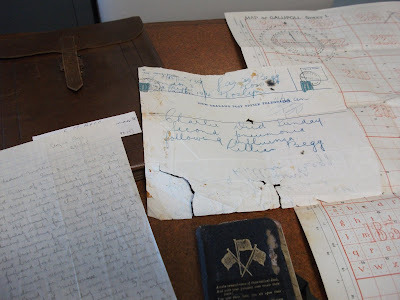 He sent her letters, cards, telegrams (including a concerned one reading “No news of you for some time …”), postcards of “the eternal city,” textiles from Jerusalem, books and gloves. Some New Zealand women married American servicemen and started new lives in the USA, but Betty’s destiny lay in the south: in 1945 she married Reg Watson and moved to Dunedin. Some of the items sent by Reg Watson to Betty Manley.